Great view, friendly and helpful host. 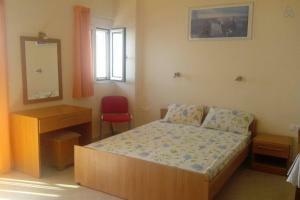 Good location with close proximity to beach and taverna. 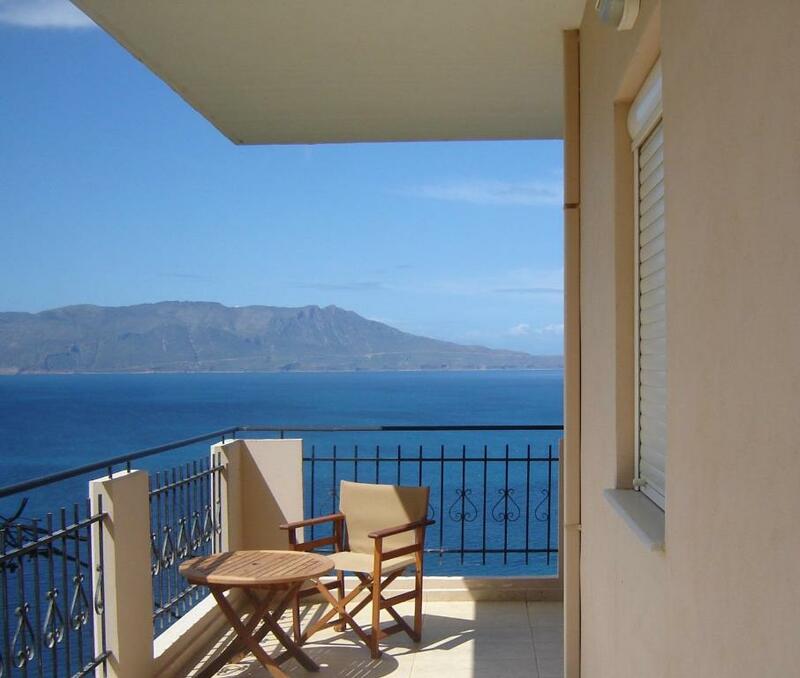 The stunning view over the bay and mountains. The sunsets were amazing. There was a cool breeze and we could leave a window open as there was a mesh fly screen. The kitchen had an oven which was useful. My 2nd time at Kleio Studios. Love everything there. 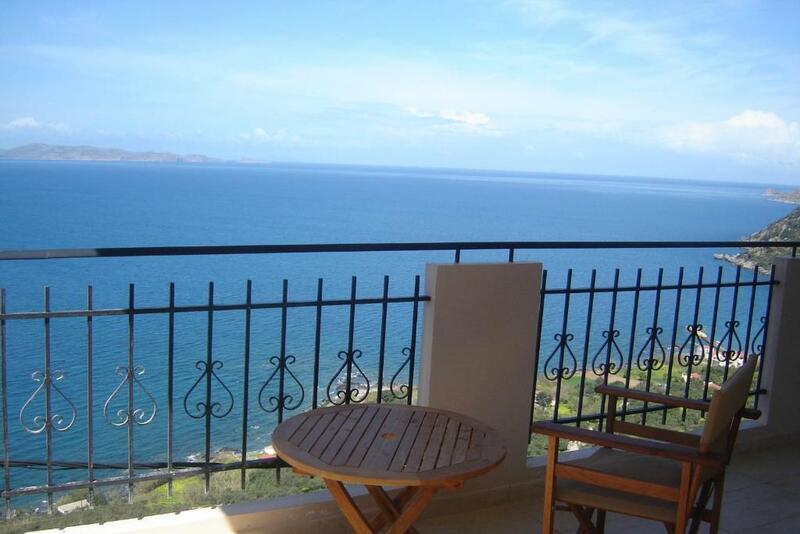 Nice spacious rooms, AMAZING view, super nice owner. Cosy beach and good restaurant down the hill. I will definitely be back there. The view is nice. It is a good place where to have dinner in. In the evening is quite fresh and wind and it's nice having dinner and seeing the sunset. The host is accommodating. Beautiful view from balcony! 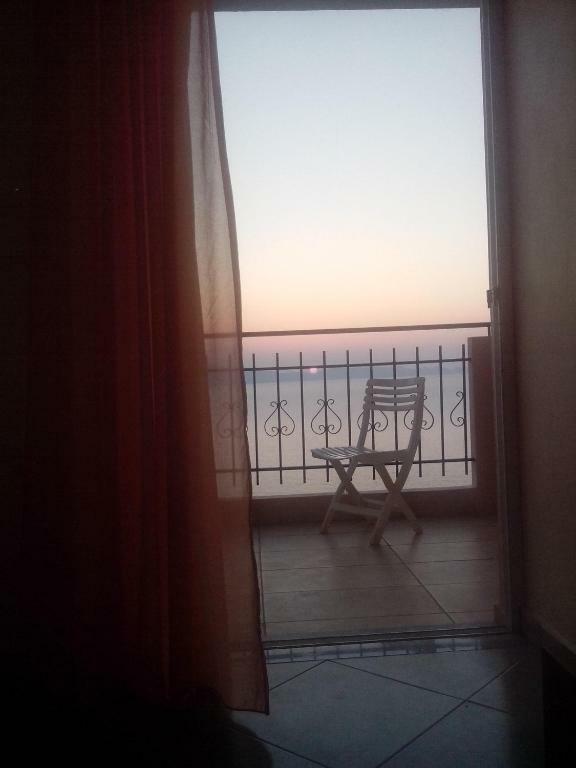 Additional chairs and table for balcony relax. Pleasant and friendly owners! Much things in the apartment you can use (spices, dinnerware, shampoo, shower gel, sugar, salt... and etc.) Really silent place with great nature not far from big cities. If you rent a car, it's easy to reach any places you need. Sehr ruhige Lage, tolle Aussicht, grosses Apartment zweckmäßig und sauber, Einrichtung etwas in die Jahre gekommen. Вид. Это best of the best!!! Очень радушный персонал. Просили детскую кроватку для годовалого ребёнка (причем забыли предупредить заранее) - предоставили уже по приезду, в ночи, принесли, помогли поставить. Прилично оборудованная кухня - кофеварка, плита, холодильник. В целом за свои деньги (50€) вполне достойный, хоть и довольно простоватый, вариант, учитывая вид. Gigantischer Ausblick, Ruhe, stimmungsvolle Sonnenuntergänge...weg von dem Touristentrubel. Lock in a great price for Kleio Studios – rated 9.1 by recent guests! Kleio Studios offers studios located 0.6 mi from the beach and 1,650 feet from the village. 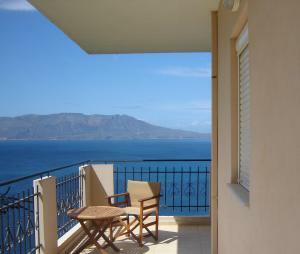 The accommodations feature a furnished terrace with a panoramic view over the sea and the surrounding mountains. 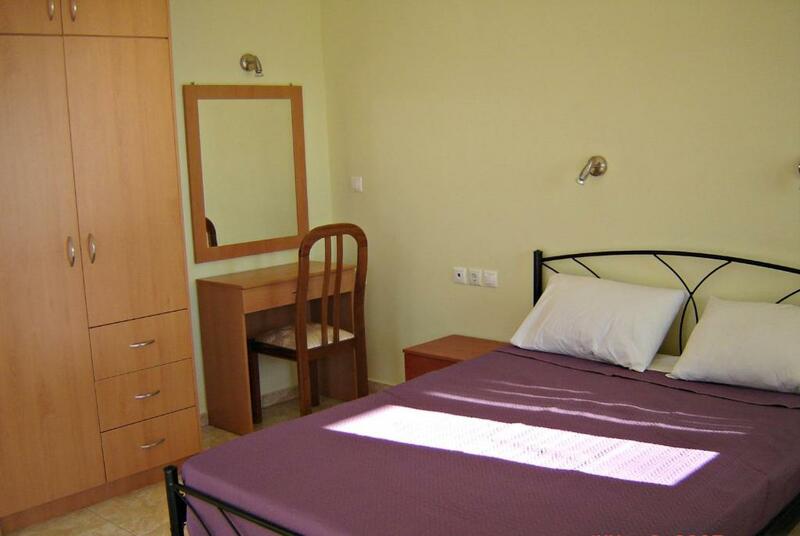 The apartment will provide you with a flat-screen TV. The bathroom onsite comes with a hairdryer and a bathtub. The equipped kitchenette will provide you with a microwave, a dining table and an oven. A supermarket can be reached within walking distance. Activities in the surrounding area include fishing. 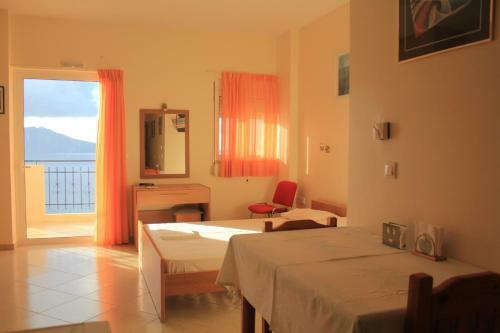 Chania International Airport is located 23 mi away and the property offers free parking. 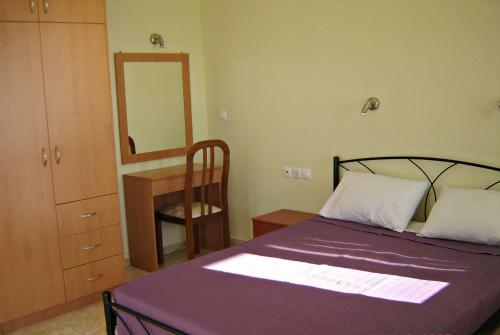 When would you like to stay at Kleio Studios? House Rules Kleio Studios takes special requests – add in the next step! The shower is not very comfortable, but clean and working properly. The view. The place is full furnished. Long drive to ATM and supermarket....but fine with a car. Too far from restaurants, down a very steep hill. It would have been good if clean bedding could have been provided mid-week. No Air conditioning. You need the car for everything. There is nothing walking distance. Sometimes, in case of low outside temperature, it's little bit cold inside. Not possible to use the heating system (but anyway, there are several warm blankets in the apartment). One more thing to be improved in this apartment is the wifi signal level. But I'm sure that this problem will be solved by owners at the nearest time by installing of the more powerful wifi router.